Framework of Action to guarantee the Right of Private Children and Family Environment or the Risk of Losing it in My Country Venezuela. Greetings to all those who share in every corner of this great world "Steemit", In summary, the reason for this publication is not more than having an idea or notion of some protection programs for children and adolescents separated from their environment. Origin and that here in my country applies framed to the law, with full responsibility I make negative mention about some state institutions in other countries where they dissociate from the affective, emotional part of the family of origin, don the children are separated of your parents only by an anonymous report without the previous investigation you will see without applying the different family valuations of the cases, the truth is very sad and regrettable that you are working in that way as in the case of the CPS and MCFD to name a few. Here in my country more than 90% of the cases do not come from detachment due to any accusation of bad treatment, they are very few in comparison with others that if we see and they are very common and lamentable. Here in the state where I live and work the cases are very particular, in the area there are mining settlements where there are all kinds of drug vices, prostitution where there is confrontation between criminal gangs where men and women die who leave their children orphans and sadly can be see in the streets children in conditions of abandonment looking for food among the garbage, sometimes in hospitals at birth the baby these mothers without hearts left in abandonment in the same hospital hours after birth, this is the day to day. We always try to do our best for them and we try to rescue street children, we are always attentive in hospitals because there are mafias that are dedicated to the traffic of babies and even organs and our team always tries to follow up on these dropouts to rescue these babies and take them to shelters where they are given protection, food, medicine, care, love, while working on their well-being, it is for this reason that on this occasion I want to talk a little about the current legal framework in my country Venezuela, the institutions have suffered a series of changes in social matters, this has allowed revisions of the current models of how care entities work, this has allowed to create conditions to establish strategies and programs for family location, strengthening and monitoring of the family reintegration of children in vulnerable conditions. to. Exceptionality of the substitute family. b. The separation of the family of origin only when it is necessary to preserve the best interests of the child, through the application of protection measure. c. The inadmissibility of the separation of children and adolescents from their family of origin, due to poverty or other social exclusion. d. The non-separation of groups of brothers or sisters. In these cases, when a measure of protection is required, they must be kept together in the same protection program. and. The responsibility of the State, with active participation of society, to guarantee programs and special protection measures for children and adolescents separated from their family of origin. The service entities are institutions of public interest that execute projects, measures and sanctions. Among its functions, the evaluation of each child or adolescent attended is highlighted, which goes through a process of research and guidance to parents and relatives regarding obligations and rights. This program is conceived as a set of interrelated activities and strategies to guarantee the right of every child or adolescent deprived of his family environment to be raised and develop with his parents and relatives. To this end, this program provides for the consultation of national agencies such as the State Security Corps, the National Identification and Alienation Agency and other public entities, for the search of parents and relatives. It also contemplates consulting communities through their grassroots organizations for the same purpose. Likewise, it establishes research on the origins of the child or adolescent, in coordination with actors of the Protection Steering System, public and community organizations, for the purpose of presenting comprehensive reports on family conditions, restitution of family ties of origin, as well as guidance to the father and mother on their obligations and shared rights. Orientation and support to the Family Program. This family orientation or family strengthening program has the purpose of "strengthening the family ties of origin and the ability of its members to exercise their rights in balance with family obligations around the responsibility of raising a child or a child. Teen". The program is conceived with the objective that parents know, apply and value the integral perspective of the rights of children and adolescents within the family, in such a way that this is a space of guarantee of rights in the family. that parents can exercise their rights and family duties in matters of parenting responsibility and parental authority. Assistance to the family program. The document states that the family assistance programs involve "All those actions of coordination with public and private entities so that families can access the network of available services and access to socio-productive opportunities". Follow-up to the family program. Whenever the child has been the object of a protection measure that has separated him from his family environment and all actions have been taken that allow family ties to be restored, a series of "monitoring and accompaniment" actions are contemplated. of the integration or non-reintegration of the child so that it returns to its family nucleus of origin ". Substitute Family Program, Shelter and Family Placement. The programs established by the Organic Law for the Protection of Children and Adolescents here in Venezuela of their family of origin, are carried out through Shelter measures that contemplate the temporary stay "no longer than 30 days" of the child in a family that is not your family of origin; and the Family Placement measures which are carried out through the figure of the Substitute Family. The primary objective is that children at risk do not pass from their family nucleus to a care entity, since the permanence in the latter is understood as the last measure to be applied. For this, the law raises the need to form local networks of Substitute Families in each municipality which can assume the execution of the measure of Shelter or Family Placement in favor of a child when necessary. The Family Placement measure may be executed when the lapse of thirty (30) days foreseen for the Shelter Measures has elapsed and in which case the resolution of the situations by administrative means has not been achieved, it is impossible to open or continue the Guardianship ; or the parents of the Patria Potestad have been deprived or it has become extinct. There are two very significant programs such as Tutela, Adoption that I will explain in future publications. Greetings and many blessings to all. Marco de Acción para garantizar el Derecho de los Niños y Niñas privados de su Medio Familiar o en Riesgo de Perderlo en Mi País Venezuela. Saludos a todos los que comparten en cada rincón de este gran mundo “Steemit”, En resumen, el motivo de esta publicación no es más que tener una idea o noción de algunos programas de protección de niña, niño y adolescentes separados de su medio de Origen y que aquí en mi país se aplica enmarcado a la ley, con toda responsabilidad hago mención negativa sobre algunas instituciones del estado en otros países donde se desvinculan de la parte afectiva, emocional de la familia de origen, don los niños y niñas son separados de sus padres solo por una denuncia anónima sin la previa investigación veras sin aplicar las distintas avaluaciones familiares de los casos, la verdad es muy triste y lamentable que se este trabajando de esa manera como en el caso de la CPS y MCFD por nombrar algunos. Aquí en mi país mas del 90% de los casos no provienen de desprendimiento por alguna denuncia de mal trato, son muy pocas en comparación con otras que si vemos y son muy comunes y lamentables. Aquí en el estado donde resido y trabajo los casos son muy particulares, en la zona hay asentamientos mineros donde hay todo tipo de vicios droga, prostitución donde hay enfrentamiento entre bandas criminales donde mueren hombre y mujeres que dejan huérfanos a sus hijos y tristemente se puede ver en las calles niños en condiciones de abandono buscando alimentarse entre la basura, en ocasiones en los hospitales al nacer el bebé estas madres sin corazón los dejan en abandono en el mismo hospital horas después de nacer, así es el día a día. Siempre tratamos de dar lo mejor por ellos y apara ellos, tratamos de rescatar niños de la calle, estamos siempre atentos en los hospitales por existen mafias que se dedican al trafico de bebés y hasta órganos y nuestro equipo siempre trata de hacer seguimiento a estos abandonos para rescatar a estos bebés y llevarlos a casas de abrigo donde se le da protección, comida, medicina, cuidado, amor, mientras se trabajo en su bienestar, es por esta razón que en esta oportunidad quiero hablar un poco sobre el marco jurídico vigente en mi país Venezuela, las instituciones han sufrido una serie de cambios en materia social, esto a permitido que se realicen revisiones de los actuales modelos de cómo funcionan las entidades de atención, esto a permitido crear condiciones para establecer estrategias y programas para la localización familiar, fortalecimiento y seguimiento de la reintegración familiar del niño o niña en condiciones vulnerables. a. Excepcionalidad de la familia sustituta. b. 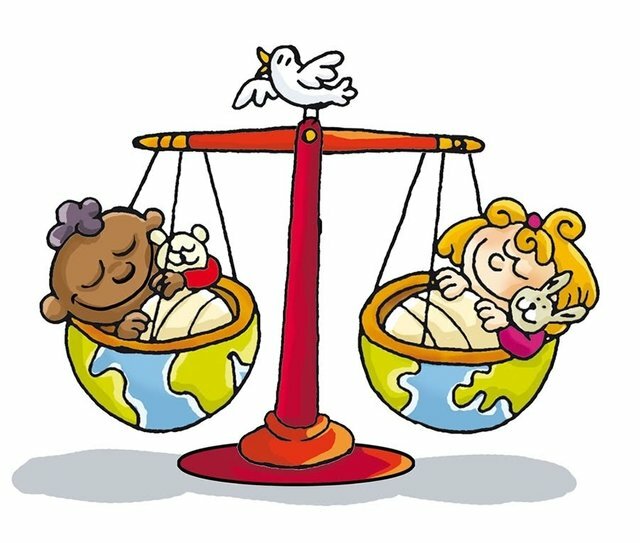 La separación de la familia de origen sólo cuando sea necesario preservar el interés superior del niño o la niña, mediante la aplicación de medida de protección. c. La improcedencia de la separación de los niños, niñas y adolescentes de su familia de origen, por motivos de pobreza u otros supuestos de exclusión social. d. La no separación de grupos de hermanos o hermanas. En estos casos, cuando sea requerida una medida de protección éstos deben mantenerse unidos en el mismo programa de protección. 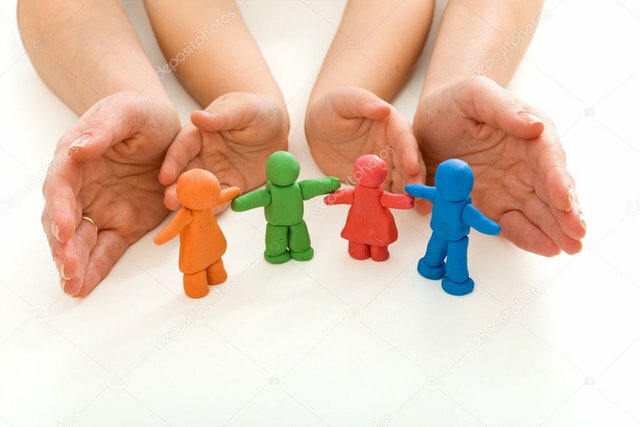 e. La responsabilidad del Estado, con activa participación de la sociedad, para garantizar programas y medidas de protección especiales para niños, niñas y adolescentes separados de su familia de origen. Las entidades de atención son instituciones de interés público que ejecutan proyectos, medidas y sanciones. Entre sus funciones se destaca la evaluación de cada niño, niña o adolescente atendido, lo cual pasa por un proceso de investigación y orientación a progenitores y parientes en cuanto a obligaciones y derechos. 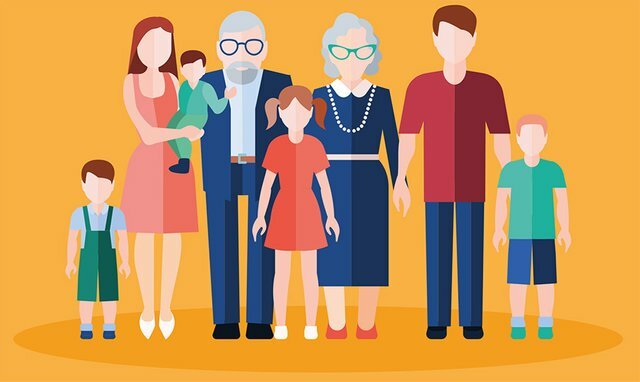 Programas de Localización de Familia de Origen. Este programa es concebido como un conjunto de actividades y estrategias interrelacionadas para garantizar el derecho de todo niño, niña o adolescente privado de su medio familiar a ser criado y desarrollarse con sus progenitores y parientes. Para tal fin, este programa prevé la consulta de los organismos nacionales como Cuerpo De Seguridad Del Estado, Organismo Nacional de Identificación y Extranjería y otros entes públicos, para la búsqueda de los progenitores y parientes. Además contempla la consulta de las comunidades a través de sus organizaciones de base para el mismo fin. De igual manera establece investigar sobre los orígenes del niño, niña o adolescente, en coordinación con actores del Sistema Rector de Protección, organizaciones públicas y comunitarias, a los fines de la presentación de informes integrales sobre condiciones de la familia, restitución de vínculos familiares de origen, así como se orientará al padre y la madre sobre sus obligaciones y derechos compartidos. Programa Orientación y apoyo a la Familia. Esto programa de orientación a las familias o fortalecimiento familiar tienen el propósito de “fortalecer los vínculos familiares de origen y la capacidad de sus integrantes para ejercer sus derechos en equilibrio con las obligaciones familiares en torno a la responsabilidad de crianza de un niño, niña o adolescente”. El programa se concibe con el objeto de que los progenitores conozcan, apliquen y valoren la perspectiva integral de los derechos de los niños, niñas y adolescentes dentro del seno de la familia, de manera tal que ésta sea un espacio de garantía de derechos en el que los padres puedan ejercer sus derechos y deberes familiares en materia de responsabilidad de crianza y patria potestad. Programa Asistencia a la familia. El documento refiere que los programas de asistencia la familia involucra “Todas aquellas acciones de coordinación con entes públicos y privados para que las familias puedan acceder a la red de servicios disponibles y acceso a oportunidades socio- productivas”. Programa Seguimiento a la familia. Toda vez que el niño o niña ha sido objeto de una medida de protección que lo ha separado de su medio familiar y se han llevado todas las acciones que permiten que se restituyan los vínculos familiares, se contemplan una serie de acciones de “monitoreo y acompañamiento de la integración o no reintegración del niño para que vuelva a su núcleo familiar de origen”. Programa Familia Sustituta, modalidad Abrigo y Colocación Familiar. Los programas que establece Ley Orgánica para la Protección del Niño y del Adolescente aquí en Venezuela de su familia de origen, se realizan a través de las medidas de Abrigo que contemplan la permanencia temporal “no mayor de 30 días” del niño o niña en una familia que no es su familia de origen; y las medidas de Colocación Familiar las cuales se realizan a través de la figura de Familia Sustituta. El objetivo primordial es que los niños o niñas en situación de riesgo no pasen de su núcleo familiar a una entidad de atención, ya que la permanencia en éstas últimas se entiende como la última medida a aplicar. Para ello, La ley plantea la necesidad de conformar redes locales de Familias Sustitutas en cada municipio las cuales puedan asumir la ejecución de la medida de Abrigo o Colocación Familiar a favor de un niño o niña cuando sea necesario. La medida de Colocación Familiar podrá ser ejecutada cuando ya haya transcurrido el lapso de (30) treinta días previsto para las Medidas de Abrigo y en cuyo caso no se haya logrado la resolución de las situaciones por vía administrativa, sea imposible abrir o continuar la Tutela; o se haya privado a los padres de la Patria Potestad o ésta se haya extinguido. Hay dos programas muy significativos como lo son Tutela, Adopción que explicare en próximas publicaciones. Saludos y muchas bendiciones a todos.